One of my favorite things to do is spend a sunny afternoon exploring an expansive, inexpensive thrift store, the more varied the donation range the better. I spend most of my time not looking for things I need, but experimenting. 5 Gifts to Give Yourself this Christmas. If the mother of the universe’s most incredible and important child took time out from fussing over him to sit back and reflect, you can give yourself time to do the same. Autumn is officially upon us, with its chilly mornings, sunny golden afternoons, and all the spicy fall flavors. Goodbye Negative Nancy, Hello Optimistic Ophelia! 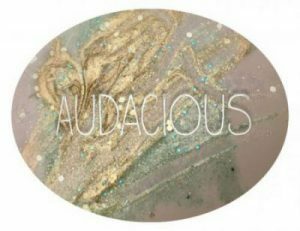 Here at Audacious the goal is to have conversations, foster thought, and encourage movement in areas that will move you forward in your life goals. While you may not single handedly change the world, you have immense power to be a part of a greater movement of positive change. You have incredible capacity to effect change in other people simply by being with them, hearing their concerns, and showing compassion. As much as you may wish it, your Christmas won’t be from a Hallmark movie; your dinner is not a scripted scene with witty dialogue, actors who always act their part, and picture perfect props; your life is not a production. May your second week of this special season be bright, intentional and full of wonder. Make it all that you want it to be, and let go of everything else. Maybe the disappointment is because my favorite gift was spending the holiday season enjoying their company, and now that they have given me that most extravagant gift, it's going away.